Darla is a Certified Personal Trainer, Holistic Health Coach and thyroid patient advocate. Following her heart, she chose to become a trainer and coach in order to empower other women like herself, who also struggle with autoimmune disorders such as Hashimoto’s Thyroiditis. Leaning on her own experiences and education, she founded Autoimmune Babe to provide guidance and support women through the necessary lifestyle changes that allow them to lose weight, have increased energy and thrive. Darla has over 8 years of self-study experience related to thyroid disease and autoimmune disorders through the various avenues of learning such as webinars, podcasts, health summits, interviewing functional medicine practitioners and pharmacists, in addition to hundreds of hours of research. She has also been coaching clients one on one and has volunteered her time as a lead moderator in the Hashimoto’s 411 Facebook support group and website for the past 5 years. Darla’s own health challenges paved the way for her to better understand the pain, frustration and hopelessness one can experience from being unwell. She as deep level of understanding and compassion for those who are just starting out on their own journey and feeling lost; not knowing where to begin. Having put Hashimoto’s Thyroiditis in to remission herself, she has the first hand experience necessary to help you find your way back to wellness. Darla is a passionate advocate of the holistic approach to wellness. She believes in gradually achieving results by making small changes to our lifestyles, rather than expecting overnight results from fad diets. Only by making the right fundamental lifestyle changes can you produce sustainable, real and long term results. That is when you will achieve whole body wellness. Zachary Hurt, ND LAc received his doctorate in naturopathic medicine from the University of Bridgeport College of Naturopathic Medicine as well as his masters in acupuncture from the University of Bridgeport Acupuncture Institute graduating with honors from both programs. Having studied extensively under the guidance of Dr. Peter D’Adamo while at the University of Bridgeport, Dr. Hurt had the invaluable opportunity to work as the resident physician for the Center of Excellence in Generative Medicine at the University of Bridgeport where he assisted naturopathic students in case-taking, physical exam, and formulating treatment plans. He is well versed in the Blood Type Diet and had the opportunity to assist in the development and implementation of Dr. D’Adamo’s newest program Opus 23, which analyzes genetic data from 23andMe. Dr. Hurt is also trained in Facial Rejuvenation Acupuncture, receiving a certificate of completion in 2014 from Virginia Doran’s Luminous Beauty program. Dr. Hurt has a strong passion for helping others and strives to educate and empower his patients to be their own health advocates. When Dr. Hurt isn’t in the office, he enjoys lifting weights, playing the piano, cooking, and of course spending time with his fiancé Colin and his dog Willow. "Dr. Hurt gives the utmost attention to each patient he works with. His knowledge, care, patience and understanding far exceeded my expectations from any clinician. He has given me hope in a situation I felt was beyond my reach. The time he takes to answer any question you might have at any time and the encouragement I have received are outstanding. From a very young age, Victoria was always the chubby girl. She tried every diet and counted calories since she was 14. Then in her 20s, she reclaimed her body back and lost 45 pounds by spending hours in the gym and maintaining a rigorous diet. While it worked, it working hard and not working smart. In her early 30s, after giving birth two healthy kids only 18 months apart Victoria had gained 70 pounds and spending hours at the gym was no longer an option. This is when she started discovering yoga and looking for healthier ways to maintain a good balance. Her final path to health felt like a giant jigsaw puzzle with lots of missing pieces. As the pieces revealed themselves - nutrition, physical strength and endurance, mental flexibility, emotional wellness and spirituality, all pillars of Flex5 Method, - Victoria began to lose the weight in an almost effortless manner that she never experienced before. She continues vigorous self-study of Ayurveda, nutrition and the subtle body, more specifically the Chakra system. She is also in progress of getting certified in Nuero Kinetic Therapy as well as continuing to expand her yoga training. Her philosophy is simple: YOU gain total health and wellness by creating a healthy balance between the physical body, mind and spirit. Easy said, less easily done and impossible to find at your neighborhood gym…which is where Flex5 Method comes in. Day 8 of 31 Days of Ayurveda: Where Are You Coming From. Watch this before you head out on your Mothers Day celebration! Day 4 of 31 Days of Ayurveda! Chakra Splashes...a surprisingly simple way to energize and open your energy centers first thing in the morning. Brand new to Charlotte, Mackenzie Gaines grew up in Lexington, KY (go cats!) but fell in love with the Carolinas while attending Furman University in Greenville, South Carolina. A few barre classes and her first experience of the “runner’s high” was all it took to get Mackenzie hooked on fitness. As she acquired a new appreciation for the infinite benefits of fitness and health, she was inspired to do more with her passion. Mackenzie aspires to educate, encourage, and empower others to discover all they are capable of whether they are unsure how to take charge of their health, want to discover how to make fitness fun, or simply need an accountability partner. She is grateful for the opportunity to be surrounded by like-minded people! Mackenzie graduated from Furman with a bachelors degree in Health Sciences, studying all aspects of wellness including: exercise physiology, anatomy, nutrition, and public health. In addition, she obtained her personal training certification from the National Academy of Sports Medicine (NASM). She began to put her knowledge and contagious love for health and fitness to use, serving as a personal trainer to various Furman staff members and volunteering as a head running coach to girls ages 8-12 through Girls on the Run. Jack Kirven was born in Atlanta, GA and grew up in Augusta. He has always been athletic. Jack started competitive gymnastics at seven, adding ballet at twelve, and then pursuing Dance, Personal Training and Athletic Conditioning as a career. He is from an eclectic family of artists, scholars, scientists, and entrepreneurs. As a result, Jack has always explored broadly to understand how everything is interconnected. These collective experiences deeply shaped his wellness philosophy, and he helps his clients understand how and why each choice they make affects their health. In 2002 he earned both a PhD in Choreography from UCLA, and also the NASM CPT certification. He is currently certified through ISSA. For several years Jack was a high school teacher and university professor for Dance, Choreography, and Fitness. He also writes the Health & Wellness column for local newspaper. Jack has a keen eye for efficient movement technique and proper anatomical alignment, and is particularly fond of calisthenics, free weights, and athletic conditioning. He has performed, choreographed, taught, and trained across the United States and Europe. While seeking new opportunities to train, Jack found Flex5 by way of a search for holistic wellness. 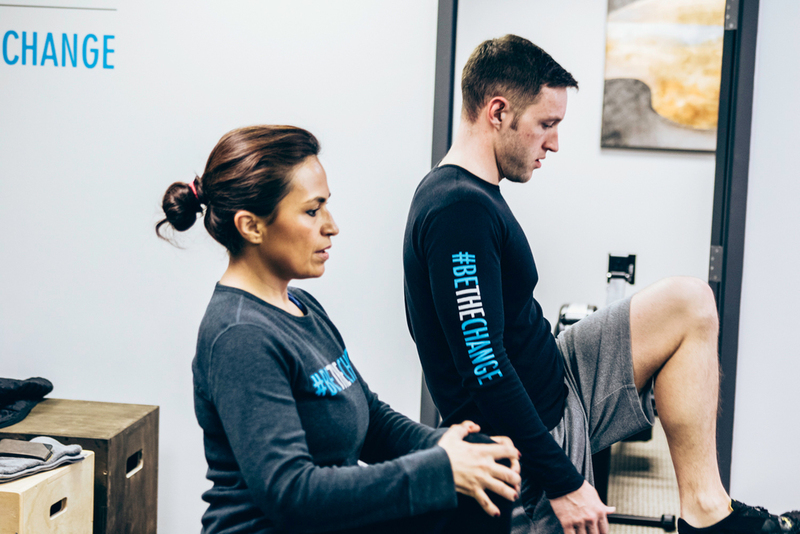 He was immediately excited to find a group of like-minded professionals and joined the team in December 2016 to help empowering clients to #BeTheChange. Jack reminds clients that there are no mysteries, short cuts, or easy fixes. It took time and habit to create one lifestyle. It will take time and discipline to adjust progressionally toward new choices. With that in mind, Jack focuses on the fundamentals while remaining encouraging and motivating. He believes strongly in journaling as a means of following progress toward long term goals, because the process is as important as the result. Jack finds that being generous with information helps clients to maintain their gains, by allowing them to understand how to implement their healthy lifestyles for years to come. He encourages clients to focus on goals, effort, and determination, not gimmicks, pills, or fads. Andrew Giorgi is one of a large Italian-American family, his morals and values were instilled around a massive dining room table filled with fresh homemade food, lots of laughter, and love. Originally from a tiny town outside of New York City, Port Chester, NY, he started working at just 14 years old for a prestigious Westchester County Beach Club, as well as a local own made Ice Cream Shop. During and following his Culinary and Pastry curriculum at Johnson & Wales University Providence, RI, he continued his passion for food working in Boston area bakery's and restaurants before he accepted an opportunity working as a Personal Chef for an elite Boston family. Andrew was responsible for building nutritious meals for the family of 4, as well as any guests that were visiting for any occasion. Following his time as a Personal Chef, he embarked on a new adventure with Whole Foods Market, which lead to a 5 and a half year career with ‘America’s Healthiest Grocery Store’, most notably the past 4 years here at Charlotte's South Park Location. Andrew is humbled and excited to be welcomed into the Flex5 family. 14 years of food industry experience, working with an elite Fitness and Wellness team to provide Flex5 with a Food Program to help you #BE THE CHANGE. Andrew believes in balance, camaraderie, and the power of vulnerability. When we love ourselves first and begin the journey to create our best self. It is only then, we become our best self for others. Nourish your body to build Your best mind, body, and soul. Surround yourself with a support group, and lean into the discomfort of knowing that in order for things to change – things must change. It has been said that alternative medicine is the original medicine. The greatest miracle on earth is the human body. It is stronger and wiser than you may realize! This is what Alissa found to be an absolute truth during her journey to learn natural medicine and therapies. This road to natural and whole health began during a very stressful and toxic period of her life living in Washington DC as a teacher of young children and children with special needs. She taught the prescribed school system curriculum but was startled at the inability for many children to learn that which was required because the children did not have a creative wholesome energy outlet and their diets were generally too poor for optimum learning. She witnessed that many children were not given appropriate nutrition and exercise to be able to concentrate on their basic studies which also lead to hyperactivity and disease. She quickly realized that the need for physical education was so important with the growing population of obese, unhealthy children and the parents and schools abused the use of food and sweets as a way to control childhood behavior issues. She decided to help them start down a life of healthy habits and to help parents achieve behavioral goals by following prescribed nutritional plans that could last life long. However, before she could completely begin to help others, she had to help herself become as healthy and physically and emotionally fit as possible. The truth was that she was 90 pounds overweight and suffered from severe vertigo and depression, back and hip pain. She knew it was time to seek the insight of homeopathic healers and mentors. Book A Consult With Alissa Today! The answer to feeling better laid within the modalities that most modern doctors knew nothing about nor agreed with or practiced. Her passion for wellness was restored through proper diet, supplements, meditation, yoga, massage, and a mastery over stress and anxiety. Through Ayurveda medicine and many healing modalities, including physical fitness, her body was healed and rejuvenated and was able to be a successful leader to adults and children from Maryland to Arizona, to Oregon and California. Having experienced the journey herself, she became healthy enough to begin and continue to raise three children of her own no matter what the hardships that come her way. She enjoys kayaking, hiking, hot yoga, gardening, social events, and continuing holistic education. Alissa has studied alternative medicine and holistic health modalities since 2002. She trained to be a yoga instructor with yoga fit and with Zumba Fitness. She achieved her personal training with National Academy of Sports Medicine and corrective exercise. She received her massage training and has spent countless hours learning and increasing her abilities to do energy work such as Reiki, reflexology, and emotional energy clearing. Her spirit was happy in helping others feel as good as she did. Alissa truly believes that the body, if treated with love and care, given the appropriate "gas" can run like a well oiled machine. Because she feels and sees so many people are looking for balance in their lives, her passion is to help others love themselves enough to achieve this balance. She believes the best fitness is helping the body overcome obstacles as it moves through this life, like a construction zone, a work or a life in progress by moving forward. Alissa had orchestrated fitness charity events for children's cancer awareness, childhood obesity, and organizations such as the united way and her own organization "Julia's Rainbow" which has raised more than $15,000 in funds for children's obesity and cancer research. 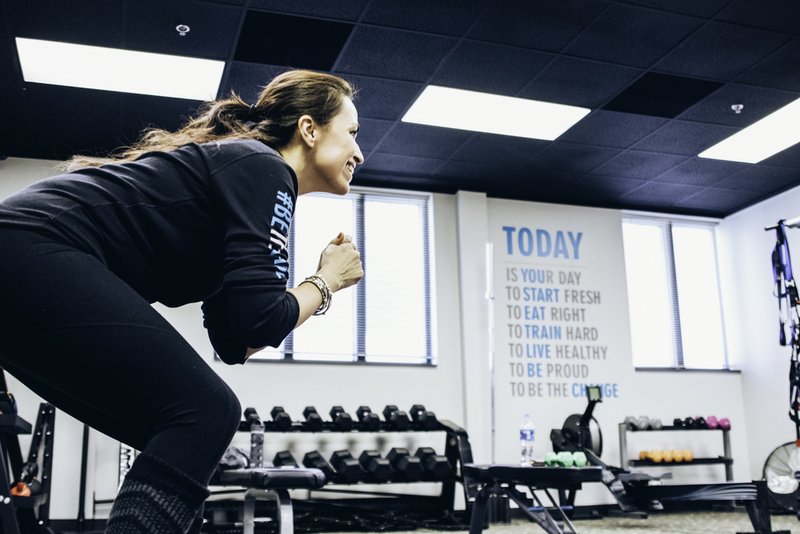 She was partner to a local "women's only" fitness center which empowered older women to become fit and healthy. She now works in children's urology and pediatric medicine as an AMT registered medical assistant and is an advocate of doTerra essential oils. She volunteers and churches and school hosting fitness classes and educational seminars. Alissa believes that the way to harmony, is to balance every arena of our lives, and that this is a very hard task when we do it alone. True unconditional accountability to ourselves and to others creates the background for overall fitness. She feels that physical, emotional, spiritual peace comes from being able to have the necessary skills and practice to balance ourselves in our bodies and mind. 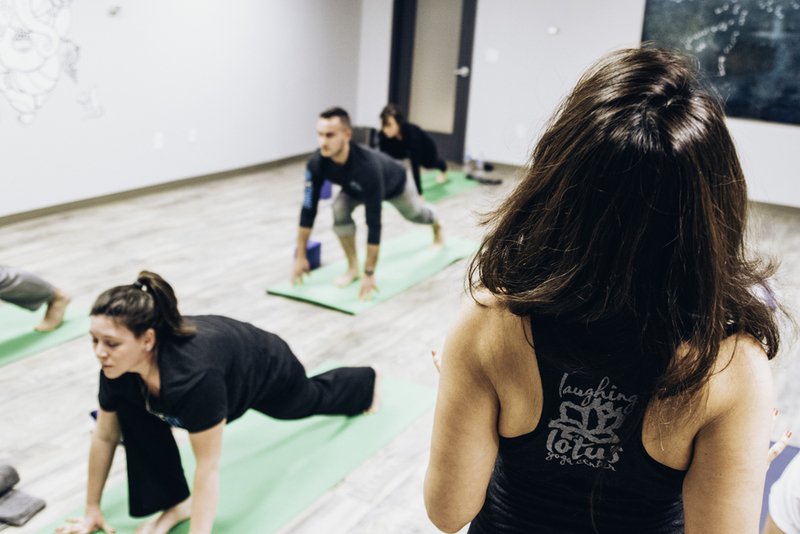 As a Massage Therapist, Personal Trainer and Registered Medical Assistant, she uses her experienced knowledge, skills, and abilities to help those of all ages be free from emotional situations all the way to sports injuries or just overall body weight reduction and fitness. She uses a holistic approach to life. Relaxation, massage therapy and meditation are her gift to give to you! "The power is in the present moment! That is why it is called a gift!" Come and experience it with her! I have been an IT professional for many years and spend time traveling. I am very particular in choosing my massage therapist. Alissa is the best I've found. She is very knowledgeable, grounded, and trusts me to know what I need. She has always striven to learn new massage techniques to make her an expert in her craft. I have come to trust the power of massage for the improvement of my health. ~ Jack G.
Alissa has a great awareness of the body and really understands how to promote healing within it. I refer her to many of my friends who are athletes and are seeking relief from muscular tightness and pain. Alissa is great at following up with me on giving me passive stretches to help with my piriformis and sciatica pain from playing hockey. I enjoy coming to see her regularly. ~ John B.
Alissa has a very comfortable, knowledgeable and low key approach to massage and fitness training. She really listened to what my needs and goals were. She uses her knowledge to not only help me feel great but also to explain why she feels we should proceed with a particular form of therapy. I have enjoyed listening to her stories of how she became who she is, a great lady who cares about others. She is open to my questions and I leave each session feeling invigorated and ready to continue my day with my grandchildren. They appreciate having a healthy happy grandpa! ~ Charles P.
I have been attending Alissa's yoga and fitness class at our church for almost two years. She volunteers her time and energy to help us to learn how to properly use our bodies to make us stronger mentally and physically. She conducts spiritual yoga classes but also incorporates fitness and dance. We enjoy the meditation and prayer time. I look forward to the fellowship every week with the other participants who have become regulars to her for a long time. Volunteering time is what makes her so caring and special to us. We love her style and enthusiasm. She has also introduced us to essential oils and dietary plans. I believe everyone should take advantage of some great health coaching like I have received with Alissa Carter! ~ Dawn W.
Porschea Kirby is an AFAA Certified Group Exercise Instructor, IFTA Indoor Cycling Certified Instructor and owner of Just Cycle, a boutique style indoor cycling studio. She first stepped into an Indoor Cycle class back in 2004 when one of her typical classes at the gym was cancelled.She heard the music coming from the cycle studio and thought, “that looks like fun!” After 20 mins on the bike she looked to her left and right and thought, “How are they doing this?” and kindly walked out! The ride was very challenging! Fast Forward - 5 years later, she re-entered the cycle studio anticipating the challenge from the past, but this time that challenge was met with an overall love for cycling! She fell in love with the euphoric feel of pushing her boundaries, challenging herself, and pushing outside her comfort zone! She loved it so much that she decided to get certified and begin teaching Indoor Cycling. She prides herself on being a motivator and encouraging people to push past their mental barriers to meet their greatness. When she’s not on the bike, she enjoys spending time with her husband and two children, going to the beach, traveling and spending time with her family! In life, we must remember to take care of our temple. We are not forever young in body (although we can be in mind and spirit). Therefore, we must eat well, stay active and maintain a healthy heart. She believes in the simplicity of eating foods from the earth (with minimal processing), the connection to nature and the energy you receive from simply being in its presence. Rhya Pachin, RDN, LDN, CLT became interested in nutrition and fitness as hobbies while struggling with hypothyroidism and a peptic ulcer in college. When her family members began to deal with autoimmune disease and severe food sensitivities, and were given no answers other than prescription drugs, Rhya began pursuing nutrition more seriously as a health coach. However, it wasn’t until several years later that Rhya took the plunge and left her successful management career to finish her Master’s Degree and acquire licensure as a Dietitian Nutritionist. Rhya has seen great health improvements personally and with clients through the results of functional medicine, and so Rhya has applied this same integrative or functional approach to her nutrition practice. That means she applies evidence-based nutrition science to support the body as a whole instead of trying to address a single symptom or imbalance. By this method, the root cause of a health imbalance is identified and addressed rather than simply managed or suppressed. Rhya has also acquired additional training as a Certified LEAP therapist dietitian, which means she is trained to design and supervise custom elimination diets in support of patients suffering from IBS/IBD, fibromyalgia, food sensitivities, and other chronic inflammatory conditions. Rhya has seen and experienced the power of nutrition in addressing health imbalances. She promotes eating real food first and correcting deficiencies only as needed with supplements. Rhya is passionate about empowering clients to discover their best personalized nutrition plan as part of their journey to optimum health. Mitch Neugebauer is originally from Akron, Ohio- but has been a resident of Charlotte and the surrounding area for over 25 years. Growing up, he was far from athletic, choosing to spend most of his free time reading books and playing video games. It wasn't until he was in his twenties that Mitch discovered that he actually did enjoy being active outdoors, when he fell in love with hiking and trail running. He obtained his Certified Personal Trainer (CPT) certification from The American College of Sports Medicine a few months later and joined the Flex5 team shortly thereafter. Since joining the Flex5 team, Mitch has brought together his passion for medicine and his enthusiasm for fitness by obtaining the Medical Exercise Specialist certification from the Medical Exercise Training Institute. 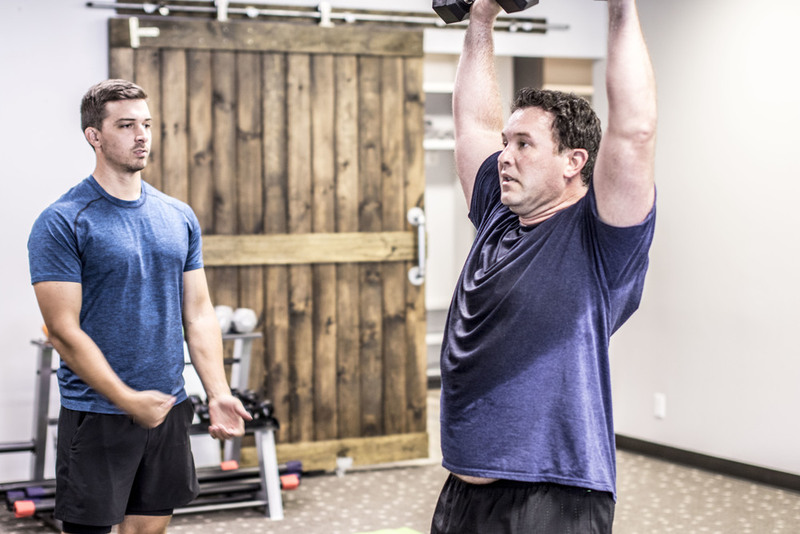 This unique certification makes Mitch one of a very small group of personal trainers that partner with physicians and other medical professionals to provide fitness education and solutions to people with a wide range of medical conditions. Mitch believes that success in any fitness or training program begins in the mind with small but important changes in how you think about exercise, fitness, and nutrition. He knows that exercise can and should be fun and challenging, and that results come from true commitment to "Being The Change." In my view, it is a strategically assembled team with killer personalities and talents - all blended together with common goals and state of the art facilities in uptown Charlotte. Whether you have aesthetic or post-rehab functional goals, do a free consult and consider making Flex5 a part of your journey. Brian Mazhari is a North Carolina native, born and raised in Charlotte, N.C. Brian grew up in an athletic household playing soccer, golf, football and track in high school, and college soccer at Wingate University where he studied exercise science and has always lived a life dedicated to health and fitness. While at Wingate University, Brian helped assist with the schools strength and athletic conditioning program as he worked with his soccer team, as well as the golf team and the football along side the schools head strength and athletic conditioning coach. He also was the only personal trainer for the University's student center where students could utilize him to get help in reaching their fitness and wellness goals. 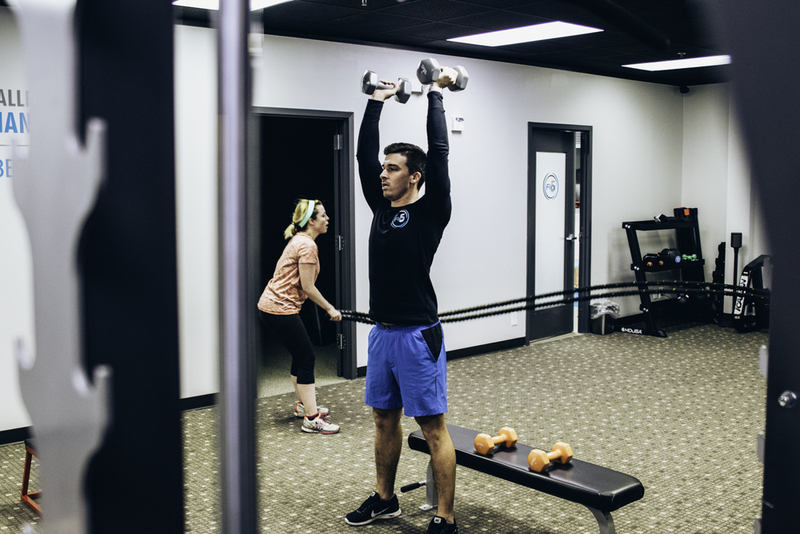 With a passion to help others and drive for success, Brian combines his experience and skills to provide personalized fitness services and promote a healthier lifestyle. 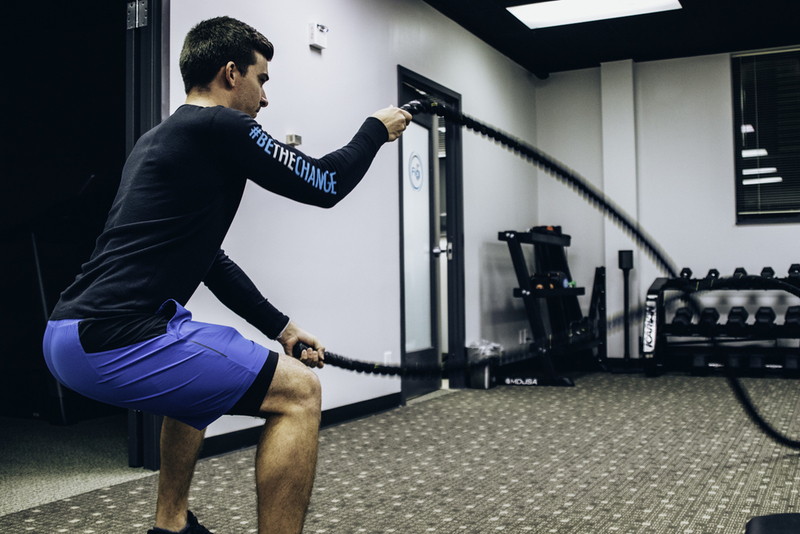 Whether you're interested in personal training, athlete development, or weight loss and toning, Brian and Flex 5 will help you to reach your personal fitness goals. Brian believes in order to see results, you have to be pushed a bit outside your comfort zone, yet enjoy what you're doing. Your workouts will be new and challenging, yet fun at the same time and should leave you thinking "I really worked harder than I thought I would today, but I really had a great time and I feel great!" He likes to motivate people and push individuals to work out hard in order to achieve their results. At the same time, Brian believes that being very compassionate is important as well. He focuses on the individual and what they are going through psychologically and helps them make little adjustments to see the change that they wish to see physically. He believes everything starts from the inside, out. If you don't have the right mentality and the right fundamentals, you won't see the results you wish to see. Brian likes to instill proper health and fitness fundamentals and a strong mentality for working out to help his clients reach their goals. He also is a big advocate on educating his clients so they will learn about their body and what to do when they are working out on their own. Everything Brian does ultimately comes down to making adequate lifestyle changes in order to get long term results. Seeing progress is a process and Brian has you trust yourself, and trust the process to know the results will come once the appropriate changes are made. I have been training with Brian Mazhari for almost a year and it's been amazing to experience significant improvement in my fitness levels and to see body transformation. Brian creates a tailored personal training plan to help you meet your specific needs and goals. When I first started training with Brian, I had knee issues that limited what I could do. With targeted strength training over time, I am now able to do movements that weren't possible before, without pain. Brian keeps the training sessions fun and continually introduces new activities and variations so I always feel challenged and engaged. In addition, I have recently started taking yoga classes with Victoria Martinez. I always leave her classes feeling calm, centered, and refreshed. Victoria doesn't just lead the class. She teaches, trains, and assists to ensure that you learn proper form and technique. She also incorporates Ayurvedic and aromatherapy elements into her classes. I have trained with Brian about three times per week, for the past two months and have already begun to see results. I initially decided to hire a personal trainer because I wanted to lose weight and define my body with muscle and tone. Brian has done a fantastic job of whipping me into shape. He is personable, extremely knowledgeable and confident, but most importantly, he pushes me far beyond the limits I could set for myself. Brian has a very balanced dichotomy between being tough and pushing you to go as far as you can, while also being supportive and encouraging. Most of all, despite the fact that he can also be fun and friendly, Brian is incredibly professional and serious about his passion. If you have ever shared a random smile on the street, a comforting embrace from a friend or loved one, or the welling of tears in an expression of joy, then you have experienced the essence that is Reiki. Its literal translation is Universal (Rei) Life Energy (Ki) and it is an energy healing system divinely gifted to a man of early 20th century Japan named Dr. Mikao Usui. Dr. Usui or Usui Sensei, as he was known to his students (sensei means teacher or master in Japanese), lived for the pursuit of knowledge and a greater understanding of the spiritual realm. He was well traveled with visits to the Americas, China and several European destinations, as well, and also studied various religions and philosophies including Christianity and Buddhism. It was through this curiosity and love of the divine realm that led him to be blessed with Reiki during a penance of fasting and meditation in the mountains of Japan. The story told spoke of Usui Sensei’s desire to reach enlightenment by encountering death willingly. As his penance continued, he became weaker and weaker by the day until, during meditation, he was surrounded by light and felt a heaviness that entered his mind. That heaviness was the Master Reiki symbol that he perceived in his mind’s eye but he didn’t understand what it meant until he stubbed his toe and took a tumble coming down the mountain. When he went to grab for his foot, he noticed a warmth that poured forth from his hands healing his toe. Reiki is life energy and it embodies the spirit of God through love. There are no religious affiliations as it speaks the language of the Divine and can be practiced by anyone, anywhere at any time. Being derived from the One Source, it is a means to balance your life and harmonize your body so that it may do what it was designed to do; Heal! It does this by balancing the seven chakras or energy centers located in your body and each chakra correlates to specific physical points, emotions, and thoughts. When one or more of these energy centers are under or overstimulated, the body becomes unbalanced. The Root/1st Chakra (Red) is located below the base of your spine and centered between your legs. It represents survival, security and being grounded in this reality. The Sacral/2nd Chakra (Orange) is located on your hip line below your belly button and represents sexual identity and intimacy. The Solar Plexus/3rd Chakra (Yellow) is located just below your sternum and represents energy, vitality and ambition. The Heart/4th Chakra (Green) can be found along the same line as your heart directly centered on your chest and it is where you will find absolute truth, love, hope and compassion. The Throat/5th Chakra (Blue) is centered on your throat just below your chin and is the vehicle of expression and creativity. The Third Eye/6th Chakra (indigo) is located slightly above the middle of your eyebrows and is the gateway to the spiritual realm and intuition. The Crown/7th Chakra (Violet) is positioned at the top of your head, hence the name, and is our connection to the Divine, consciousness and enlightenment. I practice Usui Reiki and am a First Degree practitioner. There are three degrees in the current Usui Reiki system; First Degree, Second Degree and Master with the option to teach Reiki to others. I was attuned on the 24th of August, 2011 and have shared in many miraculous moments with my clients through this healing life energy. I am realizing my purpose in this lifetime and am honored to be named a healer. With the assistance of my lovely wife, Lauren, we hope to open our hearts to the world through a wellness center of our own when it is our time. Reiki truly is a blessing and it has enriched my life beyond measure. I hope that you will allow me the opportunity to share this gift with you. Thank you for this time to be able to express my experience of receiving Reiki from Henny Kablan. All of our sessions together have been trades and one of the things that sticks in my thoughts is his professionalism that he carries whether is a client or a friend. His ability to connect with others is outstanding and that goes for multiple levels. In our past sessions Henny has always been effective and efficient in his work. After each session each evaluation of feelings that he observes have been precise and accurate. James moved to Charlotte in early 2015 after spending the majority of his life in Houston, Texas. While studying Computer Engineering at the University of Houston, James discovered the true value of education, rather than a degree and after 3 years in college, left Houston to become a social entrepreneur as a Fellow for national education/employment technology non-profit, Innovate+Educate in addition to a blogger providing social insight into the human condition. Through both his roles James demonstrates and advocates for social relationship capital – the value of one’s personal network and what one can bring to the world to make it a better place. As a brand ambassador for Flex5, James will be developing Flex5’s customer engagement and social outreach programs. In this role, James will bring Flex5 ethos to life through beautiful imagery, blogging and "giving back to community" programs. As someone who has experienced both mental and physical setbacks early on in his life, James believes that feeling good – rather than looking good – is of utmost importance. Disciplined, healthy and self-aware practices of training, eating, reflecting and resting are key to his optimal performance on any given day.